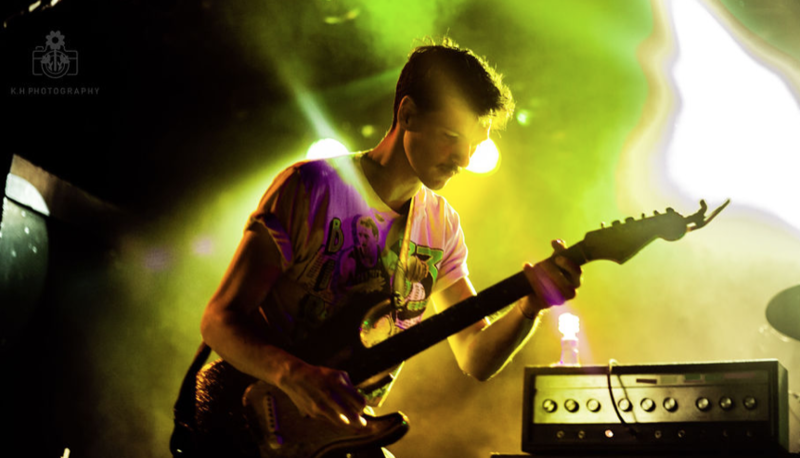 On Wednesday, February 20th, Houndmouth played a sold out show at Paradise Rock Club. The show that was originally scheduled for the House of Blues in November moved locations and dates to a much more intimate venue. The venue change was a positive thing for the atmosphere of the concert due to the warmth of the Paradise and the ability for the soundwaves to be heard and danced to in every corner of the room. 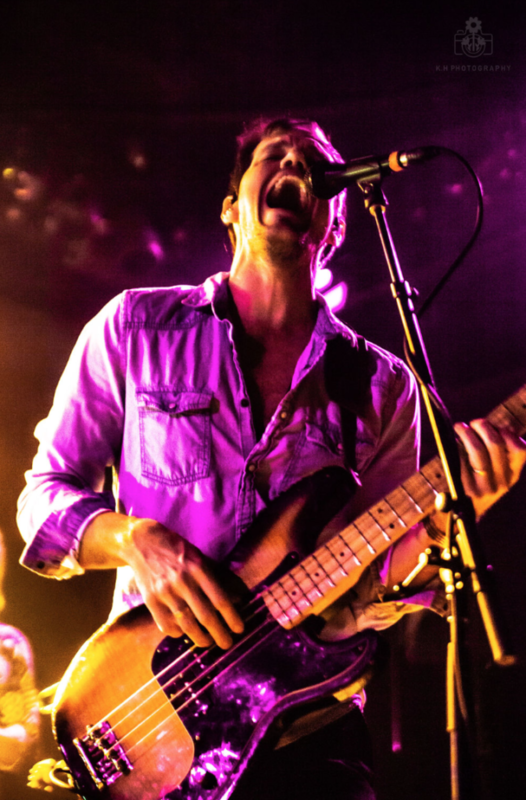 Indiana’s country rock band really brought their signature sounds to Boston, and to introduce Houndmouth were two openers who brought their game. Both alternative rock artist Modern Love Child and singer songwriter Ben Kweller brought so much emotion and energy to the tightly packed venue and stage at the beginning of the night. Matt Meyers jamming out on stage. Houndmouth then came on to the stage and immediately brought up the energy of the room The band is made up of Matt Meyers on guitar, Shane Cody on drums, and Zak Appleby on bass, with all three contributing to vocals. They’ve had a stellar career with three studio albums and they’ve performed at many major music events such Bonnaroo, Lollapalooza, and Newport Folk Festival. Zak Appleby shouting the well known song, Sedona. During the show at the Paradise, the band did not just play their newest full length album, Golden Age and most recent EP, California Voodoo, but instead graced the stage with music from every era of the band. They drove the show home with their distinctive energy that ranged from stomping and synth to old fashioned twang. The audience happily sang along, especially to their well-known hit, Sedona, where the audience stomped their feet and screamed “Well hey little Hollywood, You’re gone but you’re not forgot” towards the ceiling. The show’s eccentric vibes and amazing quality proved the night to be very entertaining. The change in venue allowed for an intimate space that allowed emotion in the room, especially for the openers and there was not once person in the audience not dancing.